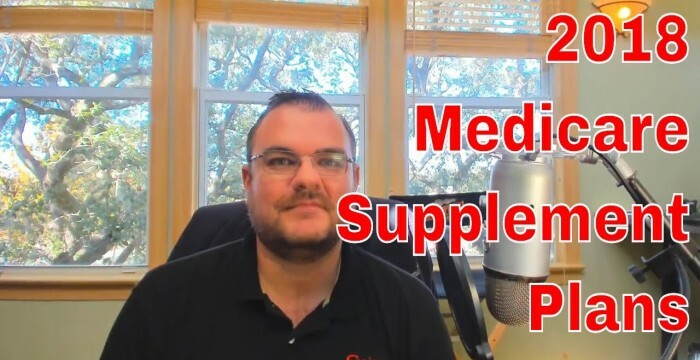 2018 Medicare Supplement Plans | What Do I Need to Do? If you are on a Medicare Supplement plan, this end-of-the-year Medicare season has nothing to do with you, except for the need you have to shop your drug plan. Medicare Supplements (not to be confused with Medicare "Advantage" plan), do not change benefits and you cannot be canceled from such a plan. Your Medicare Supplement, whether Plan G, Plan F, Plan N, etc. will remain with the same benefits as when you signed up. What can change? The rates. If you are notified of a rate increase, you can shop your Medicare Supplement plan ANY time of the year, not just in October, November, or December of each year. You are in complete control and there is not a "season" for shopping Medicare Supplement plans. Medicare Advantage plans change every year and it is critically important that you shop those plans during the small, eight-week period of the "Annual Election Period." We do not specialize in these plans due to their complexity and the number of problems we have seen with senior clients on these, sometimes "free"/no premium HMO plans throughout the country. My Medicare Supplement shopping service is 100% free. If you would like to know the BEST plans available where you live, please call me at 1-800-729-9590. You can actually call 24 hours a day here. We will get you the best, unbiased, independent rate information customized for what you qualify for, which is far different than just giving you a "quote engine" and having you look at companies that might not even be available for you, given, your health qualifications, etc. If you would like to NOT have to become and insurance agent in order to figure out the best plan and you would like some behind-the-scenes help from an agency who has helped thousands of clients in 46 states over the past 25 years, please call my office. There is no charge for my help. How? The same way there is no charge for your auto insurance agent's help, or homeowner's insurance agent. We work the same way. By being independent, we work for our client, not the insurance company. This way, we keep your best interest in mind when shopping the market. We will show you all of the available companies, then make a recommendation based on our actual experience with those companies in your market. This experience is priceless in the selection process. This entry was posted in medicare supplement and tagged 2018 Medicare Changes, 2018 medicare plans, 2018 medicare premiums, 2018 medicare supplement premiums, 2018 medigap changes, 2018 medigap costs, 2018 Plan F rates, 2018 Plan G rates, 2018 Plan N rates, best medicare supplement for 2018, best medicare supplement plan, best medigap plan, christopher westfall, medicare, medicare costs in 2018, Medicare Supplement, plan f in 2018, senior savings network, seniorsavingsnetwork.org, what does medicare cost in 2018. Bookmark the permalink.